In the rugged and wild Scottish Highlands, legends of great battles and heroes have been passed down through generations. 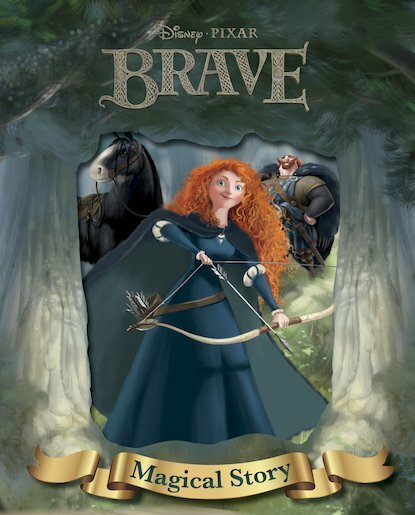 And a new legend begins when headstrong princess Merida, a skilled archer and the daughter of King Fergus and Queen Elinor, defies an age-old custom. As her rebellion causes chaos to break out across the land, Merida turns to an old witch for help. But the witch’s help comes at a high price, and soon Merida must use all her courage to save her kingdom from a powerful curse… Revisit the fairytale film in this beautiful full-colour storybook, full of stunning Pixar images direct from the big screen. This book is the best because I love the book and film. I saw the film of this in cinema before.